Have you cut peanut butter from your diet because it has a high-fat content? If so, you might want to consider adding it back into your diet, especially if you’re trying to lose weight or strengthen your immune system. Not only is peanut butter packed with a lot of the vitamins and minerals that your body needs to properly function, but it also has the “good” (monounsaturated) fat that helps your heart stay healthy. Peanut butter is an incredibly abundant source of protein. To be more precise, peanut butter has about 7 to 8 grams of protein per serving (which is 2 tablespoons). 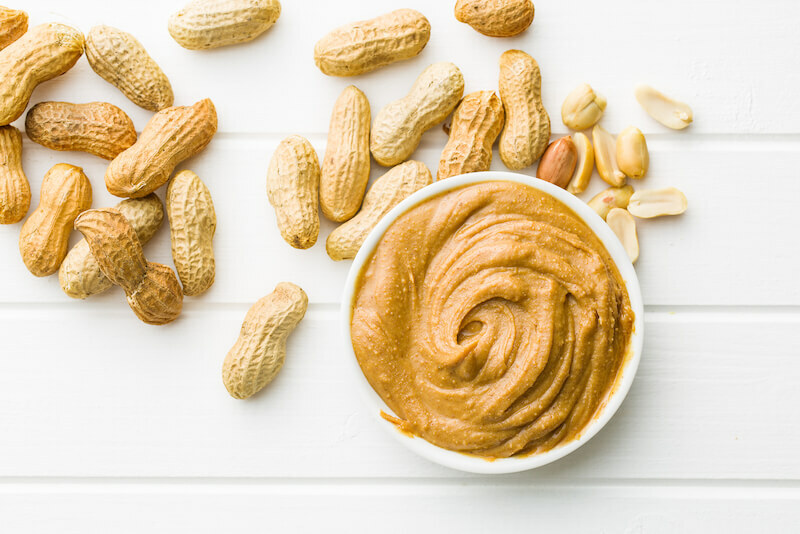 Since protein is essential for building and repairing all of the muscles in your body, peanut butter can be especially helpful for you if you are an athlete. One of the big causes of fatigue is not getting enough protein. When you eat something with protein, that protein gets turned into amino acids, which synthesize new proteins, build bodily tissues, and create enzymes that allow you to digest and metabolize your food. 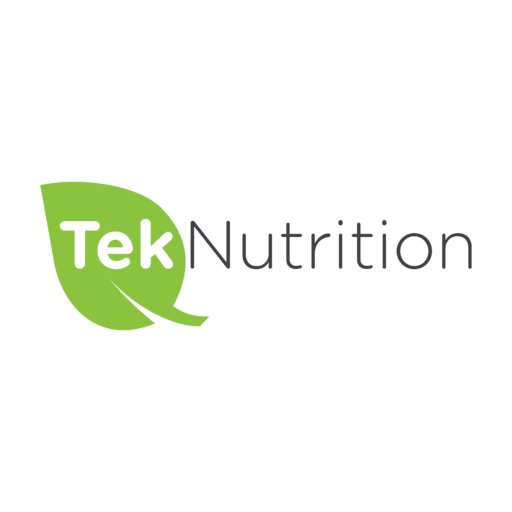 Those amino acids then get converted into fatty acids or glucose, which raise your energy level. Since protein provides 4 energy calories per gram, getting your 7 to 8 grams of protein per every 2-tablespoon serving in peanut butter can work well for boosting your energy during the day. You might be wondering since peanut butter has sodium and fat, how can it possibly be good for your heart? The truth is, peanuts contain monounsaturated fatty acids, which, along with other components of the peanut-like potassium, are effective at lowering blood cholesterol. In fact, nut consumption is recommended for those needing to lower their total and LDL (“bad”) cholesterol. While peanut butter does have some saturated fat (about 3.3 grams in a 2-tablespoon serving size), when eaten in moderation, peanut butter provides enough unsaturated fat to counteract the way saturated fat elevated LDL cholesterol. If you aren’t getting enough fiber, consider adding some peanut butter to your diet. There are about 1.9 grams of fiber in a standard 2-tablespoon serving. When taken with a sufficient amount of water, peanut butter can act as a laxative by relieving constipation. Having enough fiber in your diet is crucial for your digestive health, so eating a moderate amount of peanut butter can help to keep you regular. Peanut butter is extremely low on the GI scale, meaning that it is a great low-glycemic good. The higher you go on that scale, the more a certain food will spike your insulin and cause your blood sugar to crash, which can lead to the development of type 2 diabetes. Since peanut butter is so low on the GI scale, it does not contribute to the development of diabetes and might actually help decrease the risk of developing it. Since peanut butter is full of protein, it is able to help build strong bones and aids in muscle recovery. It is packed with magnesium, which helps keep muscles and nerves healthy. Many athletes and bodybuilders rely on peanut butter since it is so high in protein because their bodies require enhanced muscle recovery after intense workouts or games. In a single serving, peanut butter has about 208 mg of potassium. The average adult needs about 4.7 g of potassium per day, so consuming peanut butter in a moderate amount can help you reach that target. Potassium is important because it works with sodium to generate nerve impulses in the body and works to control muscles. A lack of potassium can lead to heart irregularities and chronic illnesses. Peanut butter is rich in antioxidants and vitamin E, which are important for keeping your immune system up-to-par. Peanut butter also contains zinc, which is also able to help balance your immune system. Essentially, this can prevent you from getting the flu and other viral and bacterial illnesses. As it is rich in fiber, peanut butter keeps you feeling fuller for longer. If you’re striving to lose weight, choosing a peanut butter brand that’s low in sugar and hydrogenated oils can help you lose weight and keep it off. Magnesium is something many of us don’t realize we’re deficient in. Since our bodies don’t make a ton of it, we have to get plenty of it from our diets. Peanut butter provides 49 grams of magnesium per serving, which can help with meeting the RDA for magnesium intake (400-420 mg for adult men; 310-320 mg for adult women). 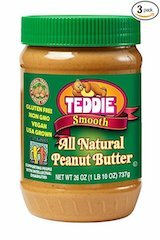 Teddie makes a delicious line-up of non-GMO, gluten-free, and vegan peanut butter. They do not add sugars or preservatives to their products, making them ideal for those looking to lose weight. 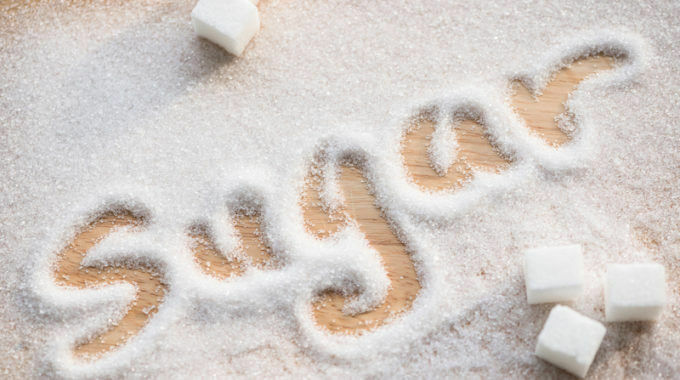 In fact, there is only 1 gram of natural sugar per serving. 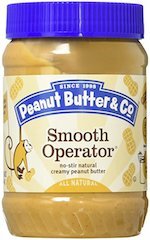 If you’re looking for a smooth peanut butter that doesn’t need to be stirred, try Peanut Butter & Co.’s Smooth Operator. While it does have 3 grams of sugar per serving, this brand tastes great, spreads smoothly, and is packed with nutrients. Skippy’s Natural peanut butter is smooth without being oily. It is also a kosher product that tends to be a hit with kids and adults alike due to its rich flavor. Also, since it is natural, you won’t find a lot of preservatives in it. Are you a fan of both peanut butter and peanut butter cups? If so, Legendary Foods has a peanut butter cup flavor of peanut butter that will satisfy your sweet tooth. Although it is sweet, there are no added sugars. There’s also a good amount of magnesium, and the flavors (of which there are a total of seven) are all-natural as well. Last, but certainly not least, there is PB2 Bell Plantation Peanut Butter. This brand has a low-calorie count and only has 1 gram of sugar per serving. Without any pesky additives, this is an all-natural peanut butter that tastes great and is healthy for you. Peanut butter used to have a stigma of being “unhealthy” due to the saturated fat content. However, over the past few decades, we have learned that peanut butter is actually quite healthy for you! Also, for those with nut allergies, don’t worry! There are plenty of equally-healthy nut-free peanut butter brands making their way onto grocery store shelves. next post: Does Farting Burn Calories?